Recently, a mother called Beth started talking about how mothers struggle the most when there isn't a village to support her bring baby up. I agree wholeheartedly. Beth, however, didn't mention that in the absence of the village and in the face of the mother's struggle, the one that ultimately suffers, is the child. This is one of the reasons why I volunteer in the Newborn ICU. As volunteers, our role is to provide support to the baby (for example, by holding them) when their parents are unavailable or absent. Parents rest assure that they can go home and take a break, see to their other children, or just go for a walk. Personally, I believe it is a little bit like creating a miniscule village within the NICU. We can also look at this through a slightly different lens. 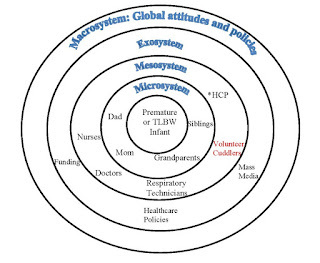 Bronfenbrenner provides a nice model for us to look at this. There is so much we can do as members of society to create that village in whatever society and ecosystem we live and work in. If we think of children as the very heart of the model and do all we can to give them the best head start, I think that said child can grow up to be that adult who can then provide support the society they live in and the next generation of children. 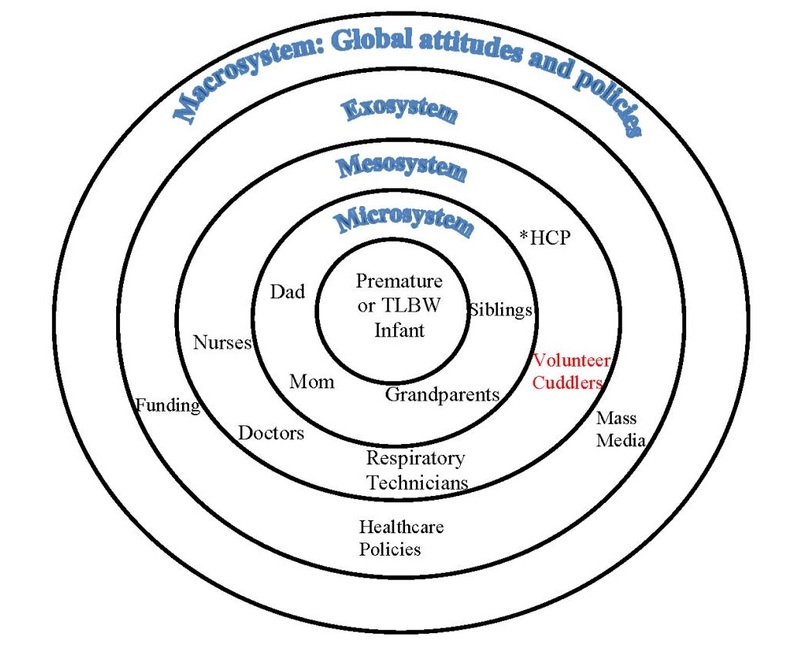 I also think we can view Bronfenbrenner's model as rather bidirectional. Its influences are as inwards towards the child as it is outwards to the people in the immediate circles.